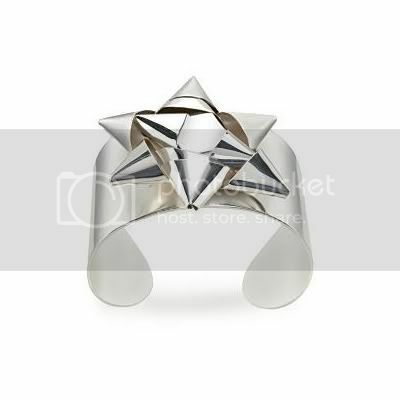 This is so up our alley, just look at this Maison Martin Margiela silver gift bow cuff bracelet, which actually looks pretty tame for Margiela. Even better it comes in a matching ring version and is on sale, at the moment, at eLuxury, $285.00 - down from $475.00. It reminds me of the patent leather pins and hats we covered in the past by Yazbukey.